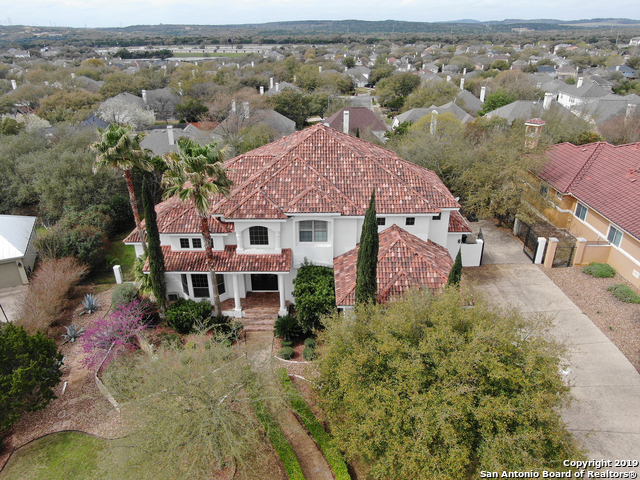 All PINNACLE THE homes currently listed for sale in San Antonio as of 04/24/2019 are shown below. You can change the search criteria at any time by pressing the 'Change Search' button below. "Privately located in The Pinnacle Subdivision.This timeless and classic 2-story home offers 4-bedroom,4.5 bath.A bright and open main living area is complimented by high ceilings and large windows. Island kitchen with stainless steel appliances, granite countertops. Master suite in main floor w/walk in closet, tub and walk in shower. Boasting beautiful tile and wood floors. Peaceful backyard includes covered patio with build in BBQ and in ground pool/spa.This beautiful home delivers resort-style"